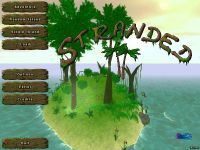 The whole island world is now better designed and has more details. It's possible to poison animals or to burn trees for example. One of the best improvements is simply the huge number of new possibilities and objects. Far more than 100 different items want to be found, used, combined, eaten or obstructed. Many new buildings allow you to build a powerful camp which offers protection and unexpected comfort.